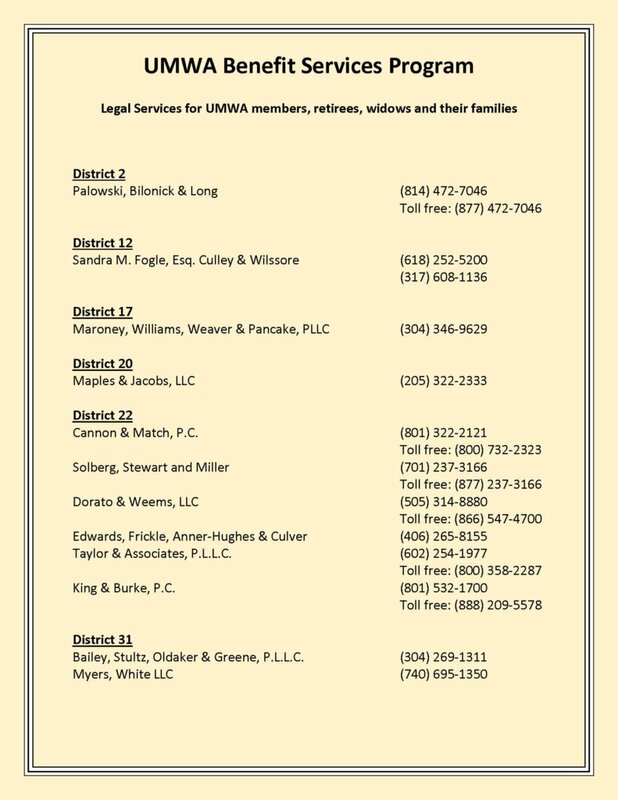 If you need legal services or advice, the UMWA strongly urges you to contact one of the firms nearest to you and make use of your Benefits Services Program. *Not all offices will offer the services listed above, and some will offer additional services. Call them to find out how they can help you. And to get the best rate, make sure to tell them you are with the UMWA.